This month, Pine Street Carpenters hosted a group of Henderson High School students in our showroom. 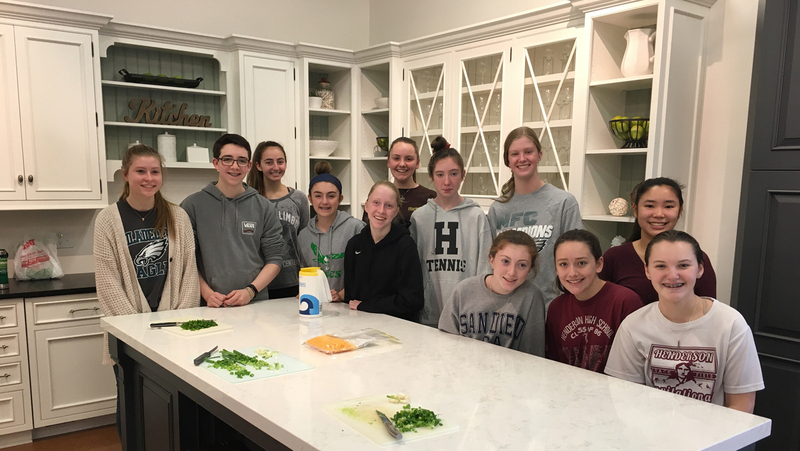 The students, members of a service club called Kids “4” Kids, gathered at The Kitchen Studio to prepare meals for Safe Harbor of Chester County, a homeless shelter in West Chester. Read this story from the Daily Local News to learn more about the event! We regularly open up our showroom free of charge to local organizations and businesses for events. Email us at info@pinestreetcarpenters.com or give us a call at 610.430.3333 if you are interested in hosting an event at The Kitchen Studio at Pine Street.